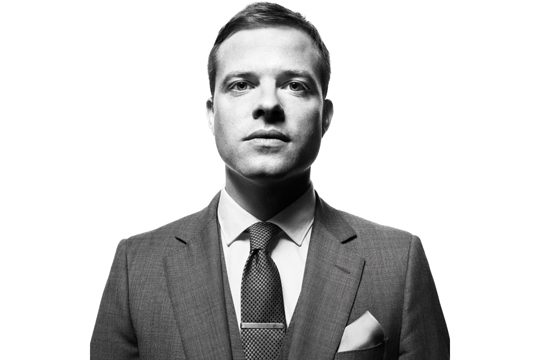 I had the pleasure of meeting Mr.Spurr at Bergdorf Goodman and view his Spring 2012 collection up close. And let me tell you, it’s much better in person. Ultra clean; cleanest of the clean. I told Simon how much I loved his assymetrical leather biker jacket and to keep cranking out 3-piece suits. He was charming, really nice and an approachable guy. Dream come true. I was a bit nervous, i mean he’s like famous. I had my camera in my pocket ready to ask someone to take a picture of him and I, but I felt like a total geek and decided against it. 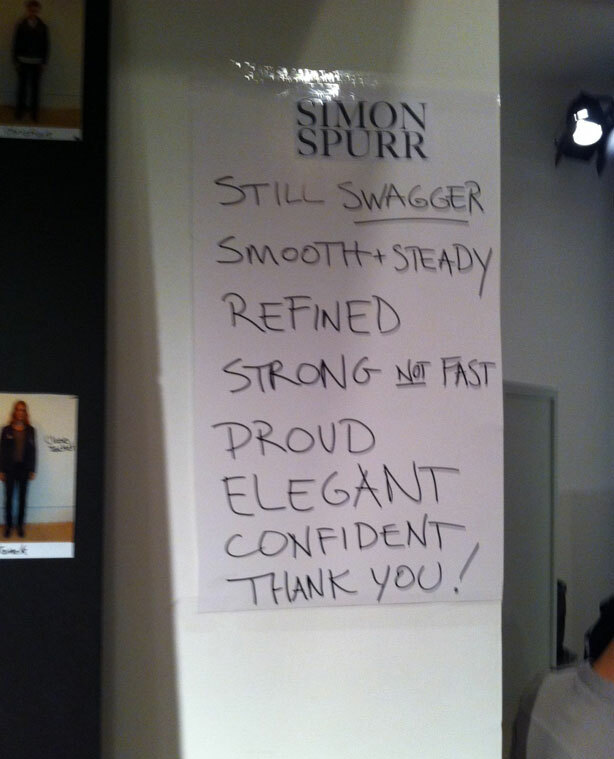 Here’s a look backstage at the 2012 Spring Simon Spurr show during NYFW. The British designer’s advice for his models are reccomendations I try to adhere to everyday. This entry was posted in Designers, Personal Thoughts and tagged Bergdorf Goodman, menswear, Simon Spurr, Spring 2012 by bravadopersonified. Bookmark the permalink.